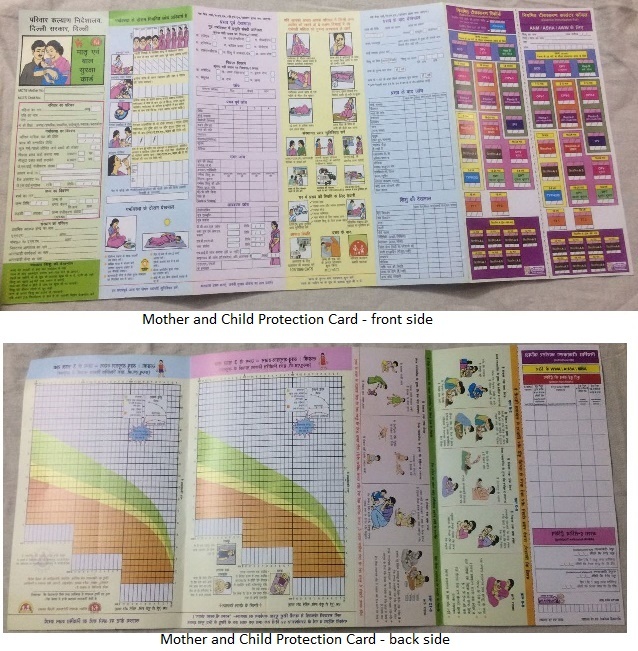 The card gives information on the immunization schedule and the doses of Vitamin A to be given to the child during the first five years. Boxes in the chart indicate each type of vaccine, date to be given, date when it was given and age. Mention the uses of the MCP card. •	It functions as a record of the routine care and immunizations received by the mother and the child. 	Various types of services which they should access for ensuring the overall health and well-being of women and children. 	The information on the counterfoil can be used to issue a duplicate immunization card if the beneficiary has lost the original card. 	The counterfoils retained at the health center along with the beneficiaries' registers maintained by the health worker can be used to assess the immunization coverage in the area. What information is obtainable from the card? Mention some steps to improve immunization coverage in an area. •	Making complete entries in the immunization cards, counterfoils, and the registers by the health worker. •	Follow-up of the dropouts, i.e., those who do not report for the vaccination on the due date. •	Giving clear instructions to the parents/ guardian regarding the due date for the child's next vaccination. Mention the suggested schedule for the 4 antenatal visits. Every pregnant woman should have at least 4 antenatal visits, including the first visit when registration is done. What kind of health education material is printed on the MCP card? Health education regarding the following is printed on the card for the benefit of the mother and family.